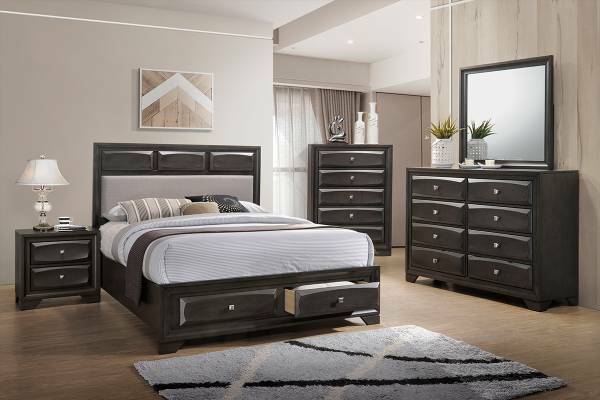 The stylish five pieces bed set featuring black faux leather material bed frame has both contemporary and bold characters. 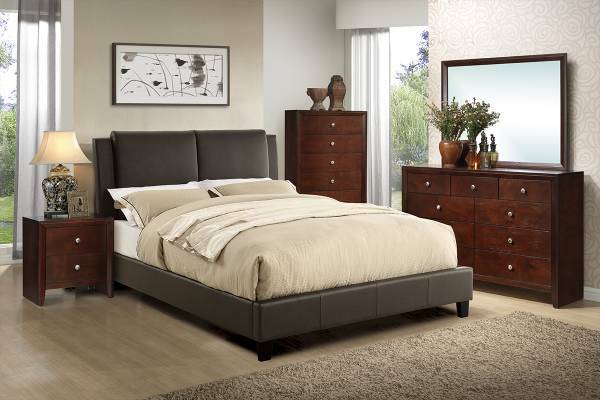 Simple finishing of the bed design yet highly functional, there are two drawers underneath the bed offers spacious storage for your books or clothes. 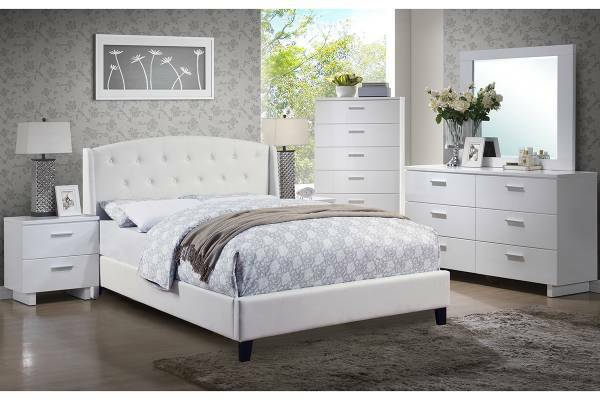 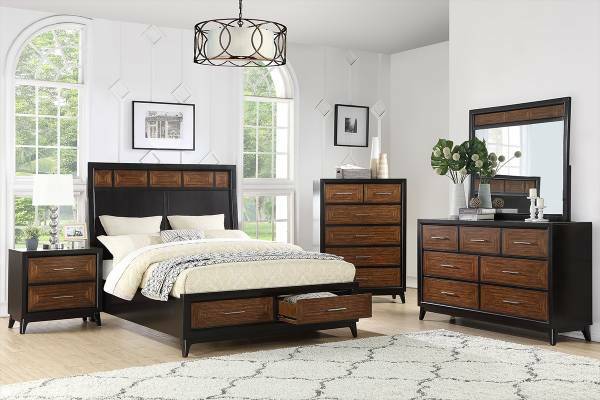 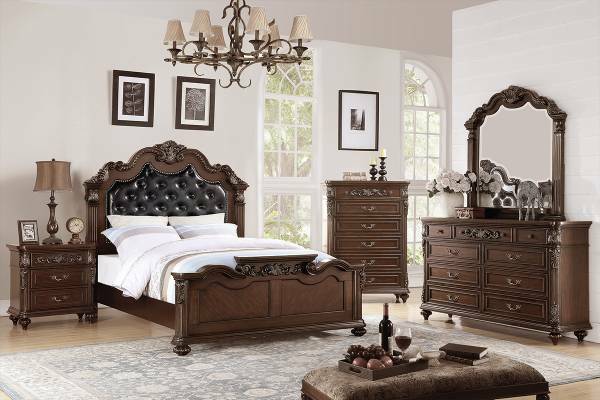 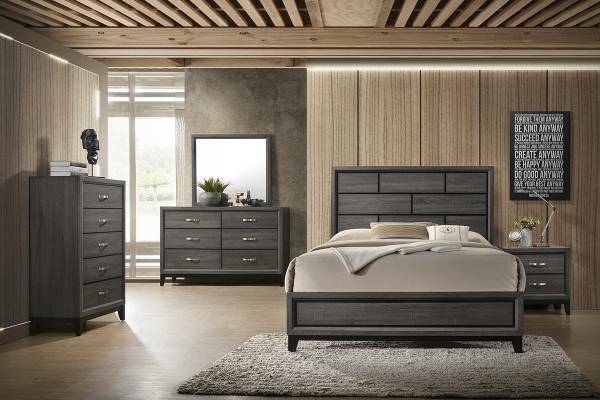 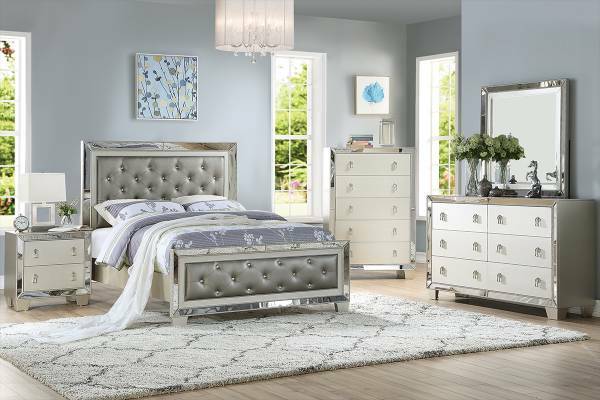 With the matching nightstand, mirror, dresser, and chest, this detailed finishing and quality bed set is perfect for a chic and relaxing home ambiance.